While a fresh new batch of Google Nexus 4 units is expected to land on the Play store by the end of this week, the smartphone is already back in stock at the T-Mobile online store. The nation's fourth largest carrier is offering the handset for $200 on contract, along with a qualifying service plan, or $500 outright, in case you aren't eligible for an upgrade yet. The variant that T-Mobile is offering has 16GB for all your storage needs. Of course, some folks won't be that tempted by this deal, especially since Google is selling the 16GB Nexus 4 for $350 unlocked and without the need for a contract. But on the other hand, the smartphone has yet to be made available for purchase once again, and when that happens, you just don't know how long it's going to be before all stock is out. To make its offer a bit easier to swallow, T-Mobile is waiving its SIM activation fee, which saves you $35. So yeah, a $200 on-contract Google Nexus 4 ordered today, or a $350 one purchased later, if you're lucky – that's the big question of the day. Which option would you pick? Let us know down in the comments! Nah, will not do for me. I prefer to pay $350 for the unlocked one from google store. Hope I will succeed this time in placing my order. BTW I am with T-mobile but still prefer an unlocked phone. Easier to resale and hold its value more. It's practically unlocked... No T-Mobile branding, no T-Mobile interruption with updates, no T-Mobile bloatware (to my knowledge), and still able to work with any GSM carrier around the world. This isn't like a Verizon Nexus, this is actually pure Google. Google Nexus 4 will be available from playstore later today...Recieved an email from google. I hope so. Last time I couldn't place an order. I wish this time will succeed. Thank you for letting us know. 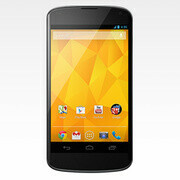 Nexus 4 will be available for purchase later today! Order yours from Google Play starting today, November 27 at 12:00 noon PST (U.S. only). I too got the surprise email that they will be back in stock. I will definitely will be ready especially after my Nexus S died on me right after they sold out. I have using an old HTC Aria. Which is cute but I am going to go blind using its small screen. Hopefully Google got its act together with the checkout process and learned there lesson. We will soon find out. i picked $350 for no jail time,anyone with me?lol..
Good luck waiting till after Christmas.